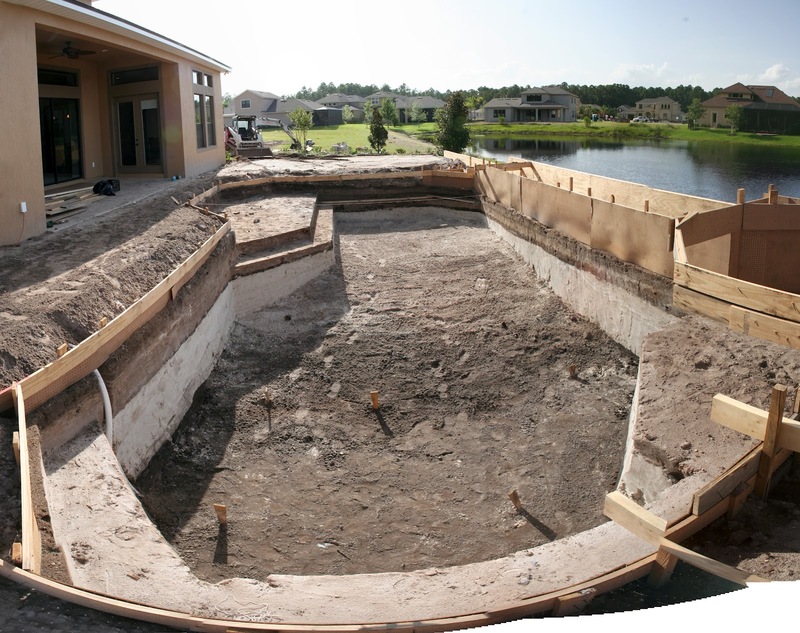 The pool is coming along S-L-O-W-L-Y. The company we're using was delayed due to some problems they had while finishing up another pool, so they haven't been out at our house consistently for a while. They'll come for a few hours per day and then leave because they're missing a part or a tool or something. In the last week they've spent probably 10 hours on the pool total. That said, today they made some visible progress. They framed out a lot of the exterior portion and dug out the inside. It's really possible to see what it's going to look like when it's done. 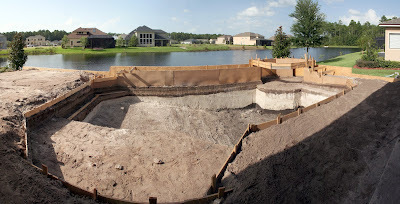 You can see how big the sunshelf is going to be and where all the steps are and the shape. I took a few pictures from different angles. The workers, and I, are very impressed with the pool that Andrea designed. I am the one that drew it up, but Andrea was very picky about the shape and wanted something different and interesting. She came up with all of it herself and the workers have commented on how neat it is a number of times.